Whether you want a Caravan vacation or you need to buy things for your travels, we have all the things that you are looking for. Purchase the Caravan items that you need from Wowcher, Amazon, ASDA, and other retailers that you trust and you will never go wrong. Our deal hunters will share to you important information to help maximise your savings. Our team of enthusiastic deal hunters has gathered and tested the latest cheap Caravan deals so you can be assured that any voucher code is up-to-date. You can check limited offers from various sellers. 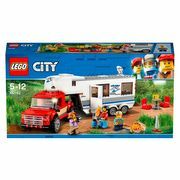 LEGO City 60117 Van and Caravan. BARGAIN PRICE! Best and cheapest deals on caravans across the UK! A caravan is a group of people traveling together. In the old times, Caravans were often used in trade expedition mainly in desert areas and throughout the Silk Road. This is to aid traveling groups against bandits. It also helps them improve economies in their trading activities. Caravans also connect faraway lands with lucrative and luxurious goods such as jewellery and silk. They are are also done in less developed countries to transport important goods. Today caravans are also used for recreational purposes and vacations. They provide the opportunity for families and friends to take time and bond with each other. There are even caravan holiday packages that you can take advantage of. All you have to do is to book your vacation and you can have a great time with your loved ones as well as take some time off from your hectic work schedule. Caravanning provides an affordable family escape where you are given the opportunity to explore the wilderness and the great outdoors without sacrificing comfort. There are lots of family caravan parks that provide all-weather activities that your whole family will enjoy. This will create unforgettable and fun memories that you can cherish. Where Can I Find Cheap Caravan Deals? There are plenty of caravan parks that you can find in the United Kingdom and if you are interested to know more about them then you came to the right place. 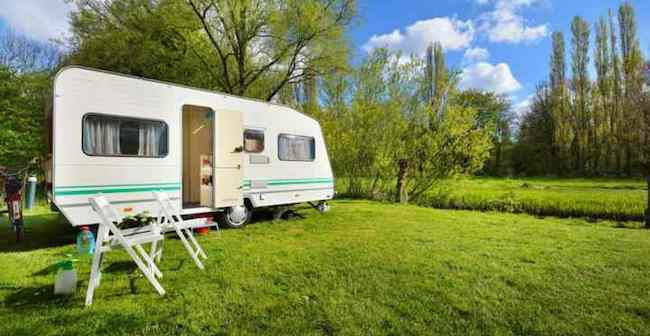 Whether you are looking for any kind of cheap Caravan deals, you are sure to find something right within your budget. Take advantage of the abundance of information that our community of deal hunters will share with you. This is a great opportunity to have your vacation in Holiday parks because of the special offers available. Check out the latest caravan vacation offers of Wowcher, Park Holidays UK, Groupon, and other reputable UK retailers. Just make sure to make your bookings in advance so that you will not encounter any problems. This will allow you to play ahead of time and take care of everything before you go on a vacation. You can make use of exclusive Holiday camps UK offers and special discounts so that you can stick with your financial plans. 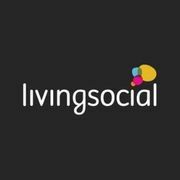 Get access to cheap yet reliable Camping holidays packages that popular UK retailers are offering on the internet. There are even very cheap caravans for sale. You'll never go wrong when you purchase them from Amazon, ASDA, and other popular UK retailers. There are a lot of amazing Park holidays UK deals online to choose from and you will surely get great value for your money. You can save a lot of money if you bring more people to your vacation. You can also take advantage of the freebies that some retailers are offering such as free ferry transfers, and more. Spending time with your loved ones is priceless and makes unforgettable memories. One way of having a great bonding time with them is by having a Caravan holiday. Here is a list of 15 awesome caravans and innovative campers. Perran Sands Holiday Park, Perranporth, Cornwall. It has kid-friendly facilities. They also allow guests to bring their pets so that they too can have a vacation. Sandford Holiday Park, Poole, Dorset. They have heated indoor and outdoor pools. You can also play crazy golf in their miniature golf course. You can also experience the wildlife nature trail. Waterside Holiday Park, Maldon, Essex. They have guided activities for kids and adults of all ages. You can also relax at their indoor pool and spa. Your children will have a great time at their playground. Wild Duck Holiday Park, Great Yarmouth, Norfolk. You can stroll at the nearby beach or take a dip in their outdoor and indoor pool. You can also rent a bike and ride it in their vicinity. Skipsea Sands Holiday Park, Skipsea, Yorkshire. They have a Tenpin bowling facility and a sports court. you can also go fishing by the lake. Church Point Holiday Park, Newbiggin-by-the-Sea, Northumberland. They have a multi-sports court where you can hold football games and archery events. They also have an adventure playground for kids and adults. Caravanning is a great opportunity to bond with your family and get away from work. This will also let you get away from the hustle and bustle of the busy city life. It allows you to explore the beauty of nature and discover new things while taking time to relax and breathe fresh air. Your family can also join activities to make your vacation more fun and exciting. You will also have the opportunity to know other people. There are lots of family caravan parks that you can find all over the United Kingdom. You can easily make your booking in advance and you can also save a lot of money as well. There are many online sites that are offering family caravan park vacation packages. There are even caravan parks that have outdoor pool areas and sports courts. 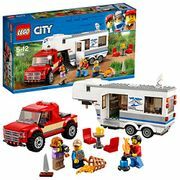 Make lasting memories and make your caravanning experience memorable.